Toyota’s perennial mid-sized best-seller in hybrid guise. Is it worth it? 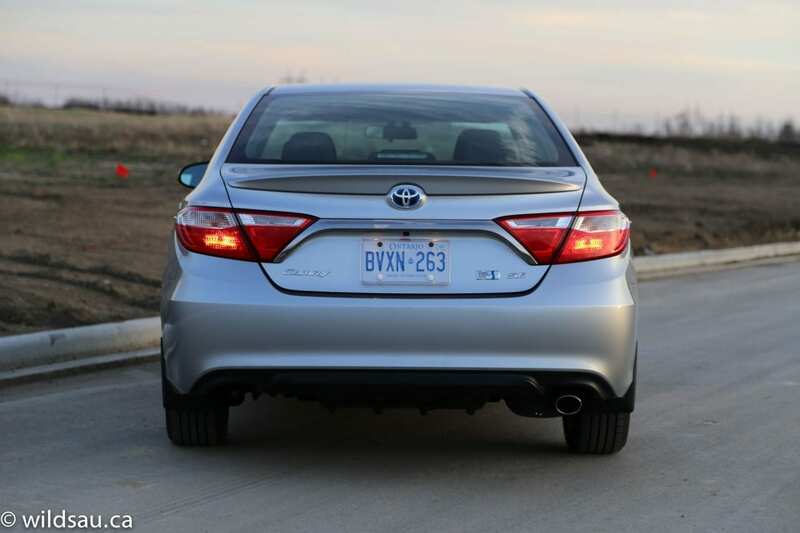 The 2015 Camry got a significant restyle, and while it is definitely more expressive and interesting, things like the yawn-fest rear end and my review car’s Celestial Silver Metallic colour reminded me that Toyota still doesn’t want to stand out from the crowd too much. 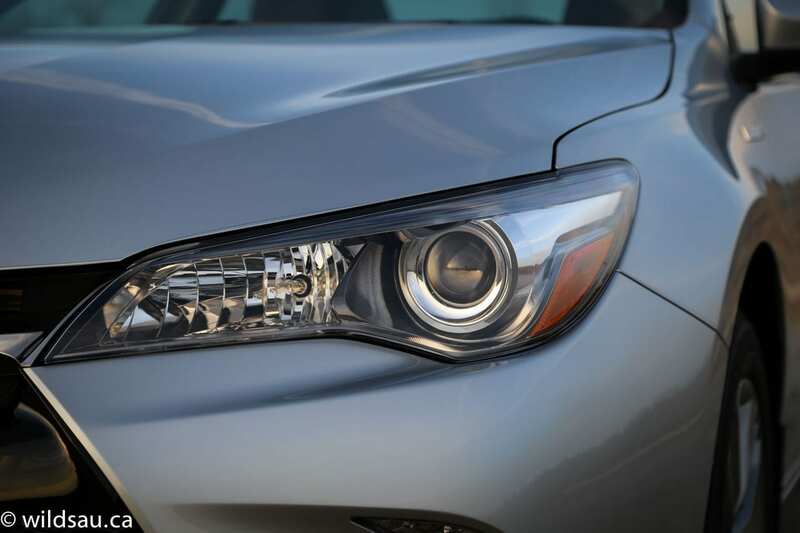 Oh sure, it’s lower and wider, and my car’s SE package includes what Toyota calls a Sport Style grille (which is surprisingly aggressive – for a Camry) and a rear spoiler. Yes, it rides on nice 17-inch rims with 215/55-sized rubber. But in the end, this Camry – the best-looking one yet – continues to blend in as it rolls down the street. And I’m guessing that’s just fine with Toyota and with most buyers. Much like the exterior, nothing got me really excited but I couldn’t find much to criticize about the interior. 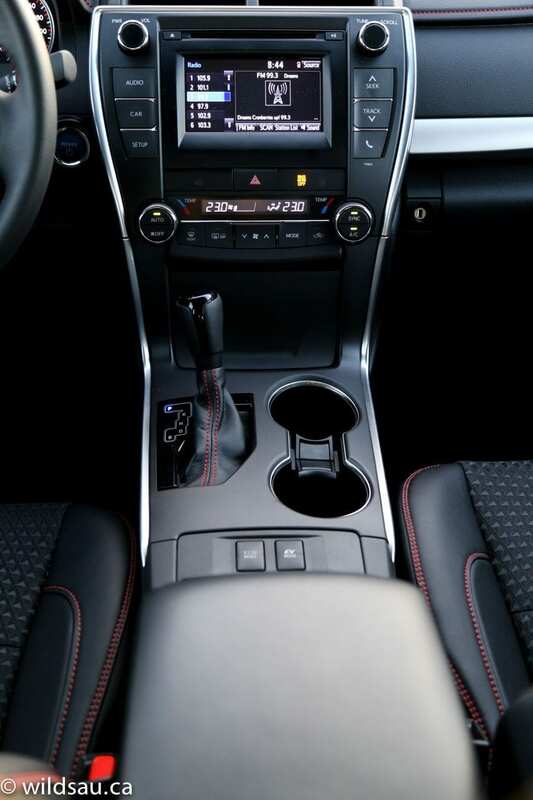 Clean, ergonomically-sound styling and Toyota’s use of decent materials, with plenty of soft-touch surfaces (and some contrasting red stitching in case you weren’t convinced this is a special/sport edition) make for a pleasant mid-level cabin. 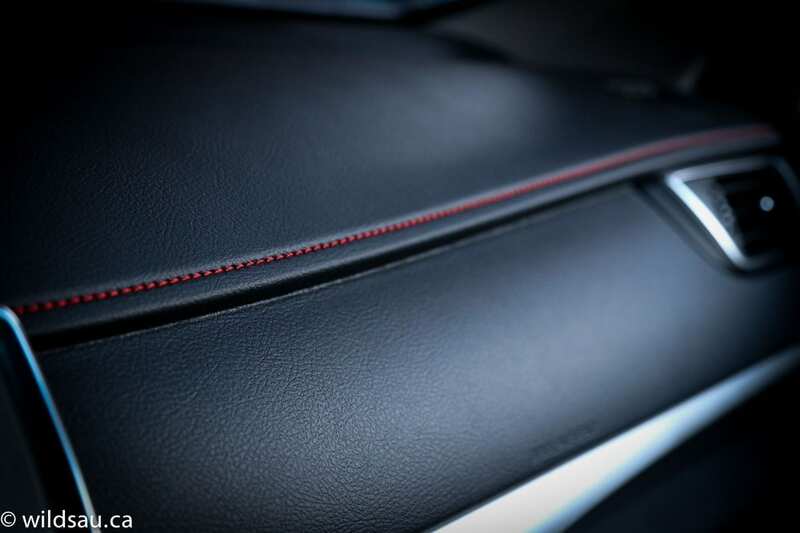 The “sport seats with sport fabric material” (it’s a combination of SofTex vinyl and a patterned fabric) are very comfortable and the driver’s side is power-adjustable. 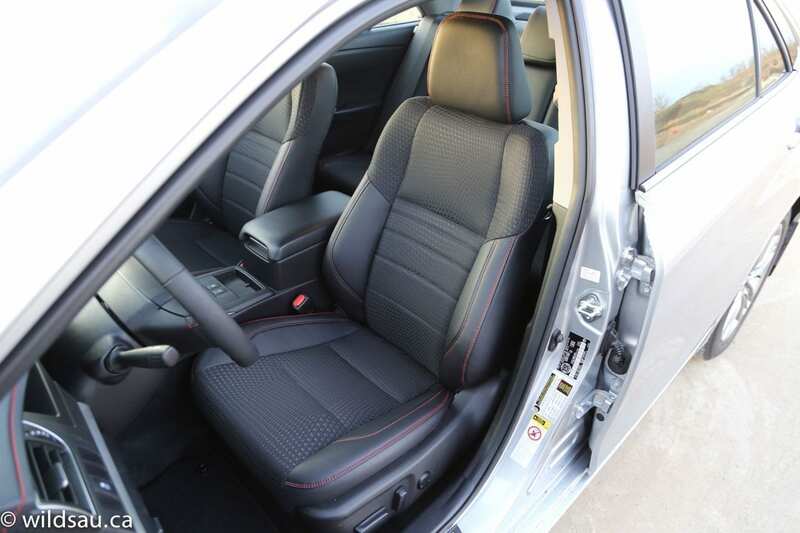 The bolstering on these “sport seats” is actually pretty good but it looks more aggressive than it really is. 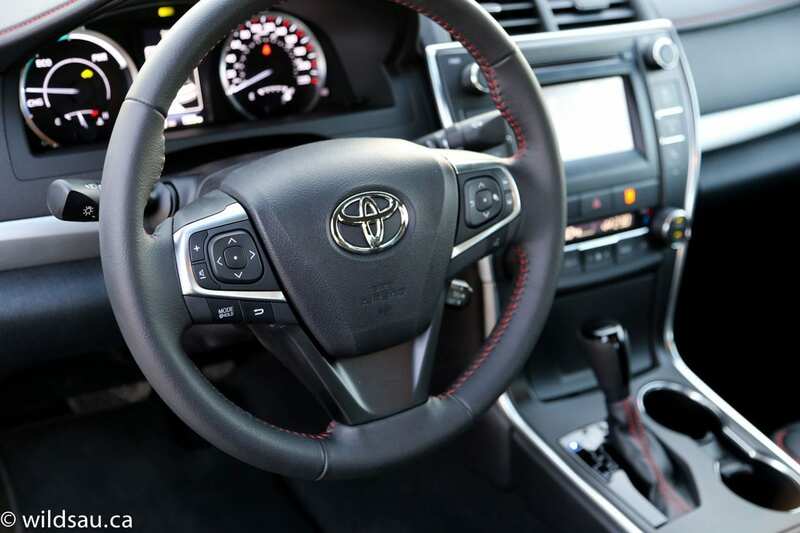 You get nice things like an excellent steering wheel with a chunky yet comfortable rim, a dual-zone automatic climate control and a 6.1-inch touchscreen that handles your audio and phone functions, your backup camera and the expected hybrid energy-flow displays and fuel economy information. You’ll be hard-pressed to find a rear passenger that can’t get comfortable. 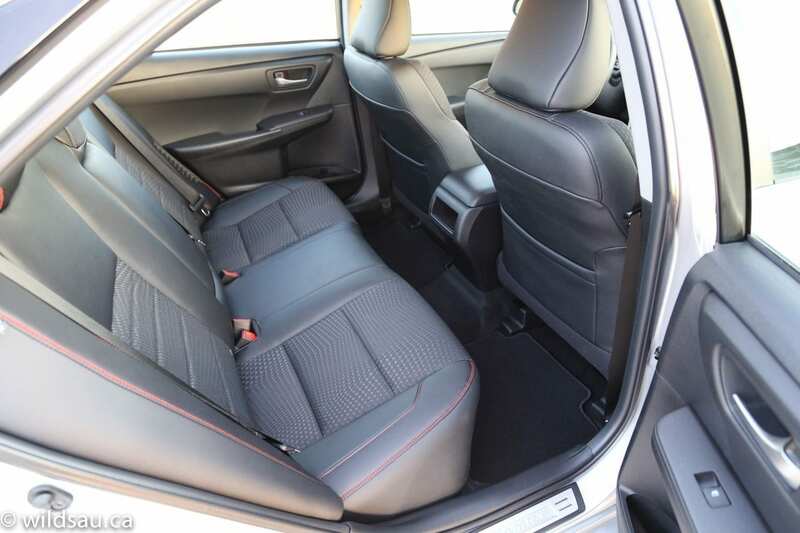 The Camry certainly carries on the tradition of offering plenty of space, and there’s no shortage of head or leg room, even for the tallest of passengers. When it comes to creature comforts, the incredible amount of room is about all your passengers are going to get. There’s nothing else going on back there – no air vents, no charging plug, nada. Our three kids fit back there nicely and had room to stretch out. No complaints. You’ll find two sets of LATCH anchors for children’s seats if you need them. I found plenty of storage around the cockpit, including a large bin under the centre stack (where you’ll also find all the connections for audio inputs and a 12V plug) and plenty of space under the armrest lid. 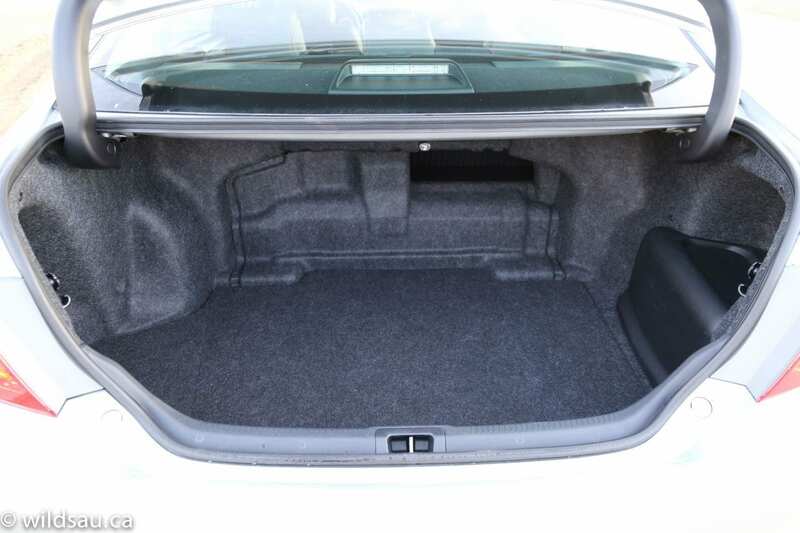 I was happy to see that the hybrid’s battery pack doesn’t reduce the trunk space as much as I expected it to – you end up with a very usable 370 litre trunk (versus 436 for the non-hybrid Camry). The fold-down seatback exposes a small pass-through for long, skinny items. 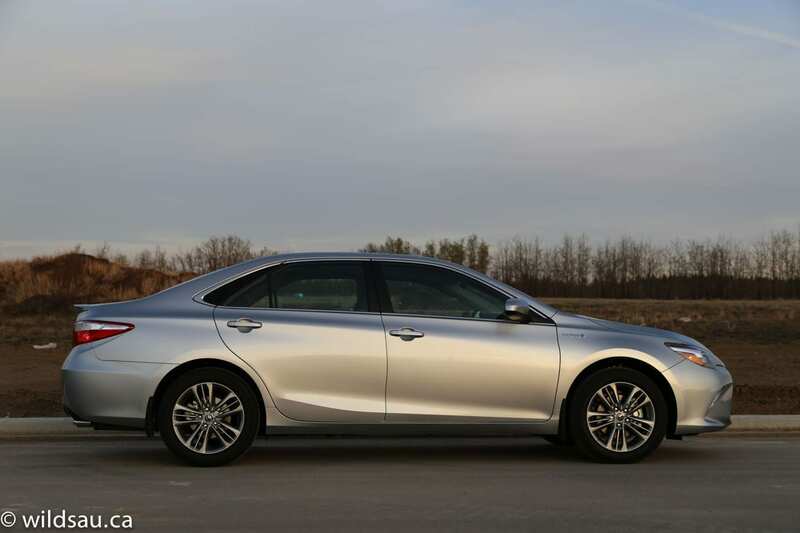 While the Camry’s shape is relatively fresh, the front-wheel drive hybrid drivetrain – a 2.5-litre 4-cylinder along with an electric motor that combine to offer up a reasonable-sounding 200 horsepower – is carried over from the last generation. That includes the CVT. 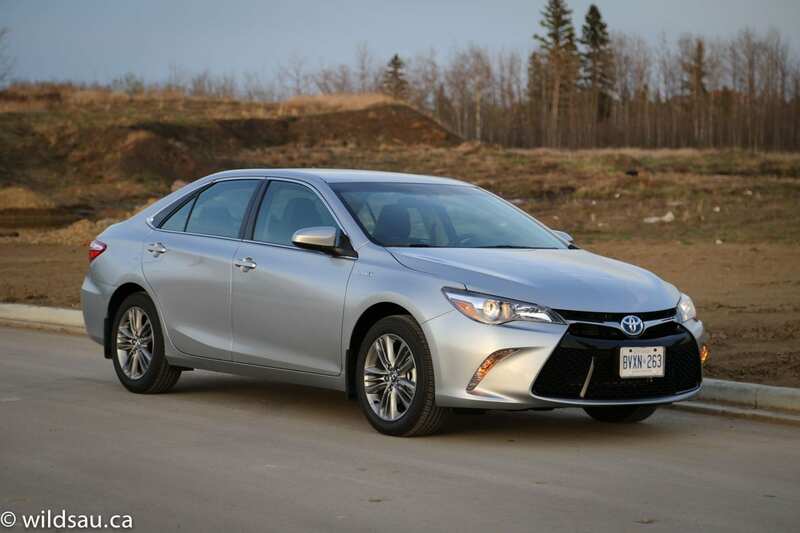 Toyota says the hybrid Camry averages 5.7 L/100 km (41 US mpg) in the city and 6.1 L/100 km (39 US mpg) on the highway – better than most cars on the road, and certainly better than the other Camrys. I was also thrilled with the normal-sized 64 litre tank which makes for an astounding theoretical range between fill-ups. Anyway, here we are – on the road again. A 200 horsepower hybrid powertrain pulling a 1584 kg (3565 pound) sedan around town. I heave a sigh as I push the starter button. If the Prius V I was driving the week before was any indicator, it will be a bland, under-powered and sometimes trying experience. But what’s this? 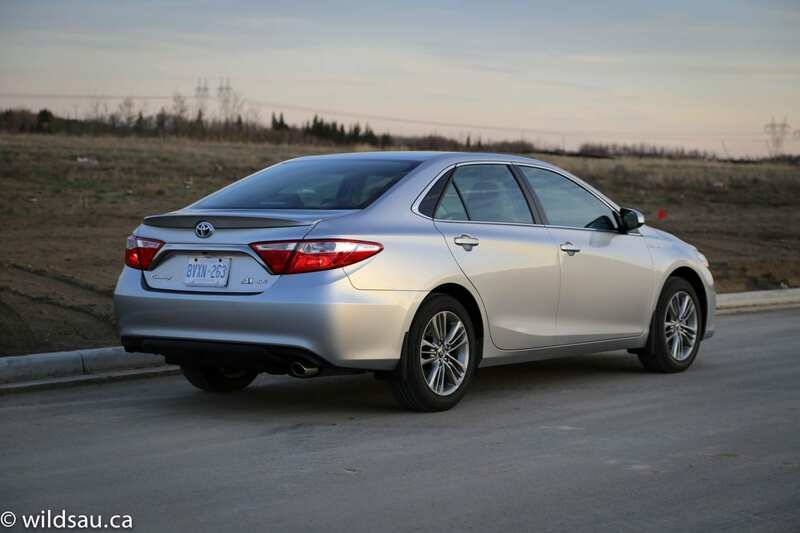 The Camry hybrid surprises me from the first drive, virtually jumping off the line. That had to be a fluke. As the next red light turns green, I give it another shot. Yep, same result. As a matter of fact, I get some wheelspin out of the deal, which is even more unexpected. What kind of abomination is this thing? A hybrid with power? That doesn’t compute. But I am here to tell you, this thing is for real. 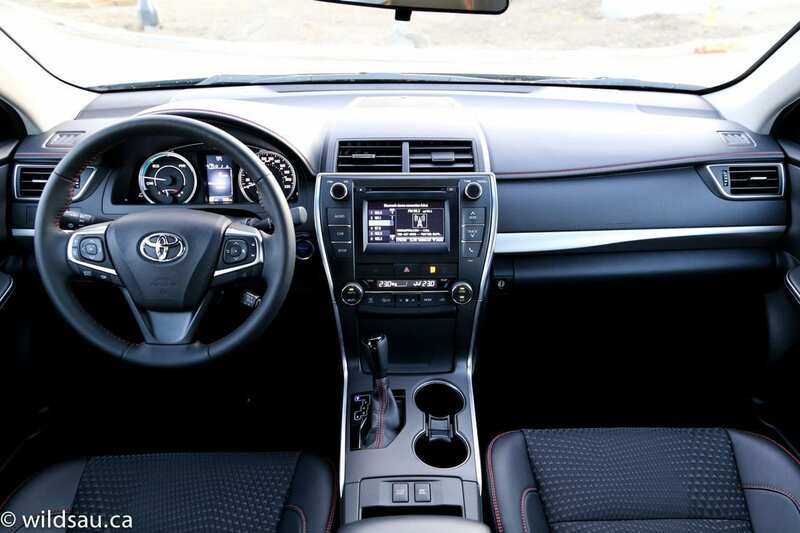 As a matter of fact, the Camry hybrid is an exceptionally drivable car. 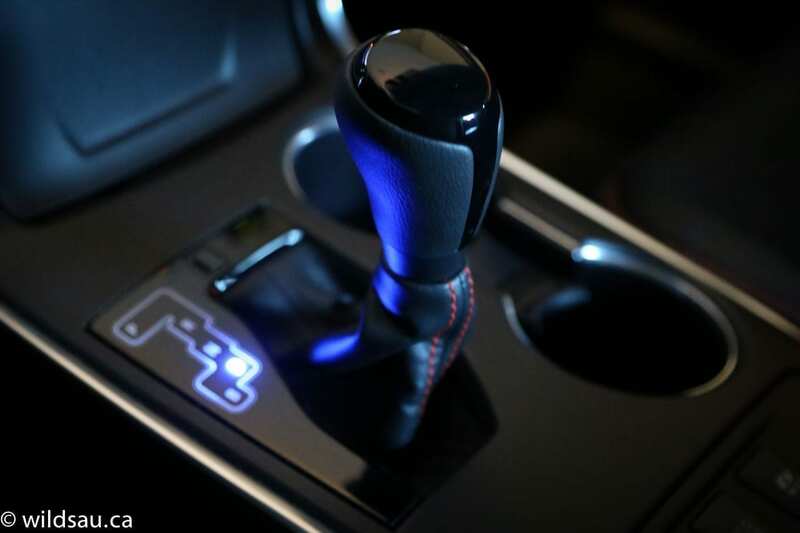 The CVT is smooth, intelligent and relatively quiet. The electric torque comes on immediately – off the line, and basically any time you need it. Even passing at freeway speeds is impressive. 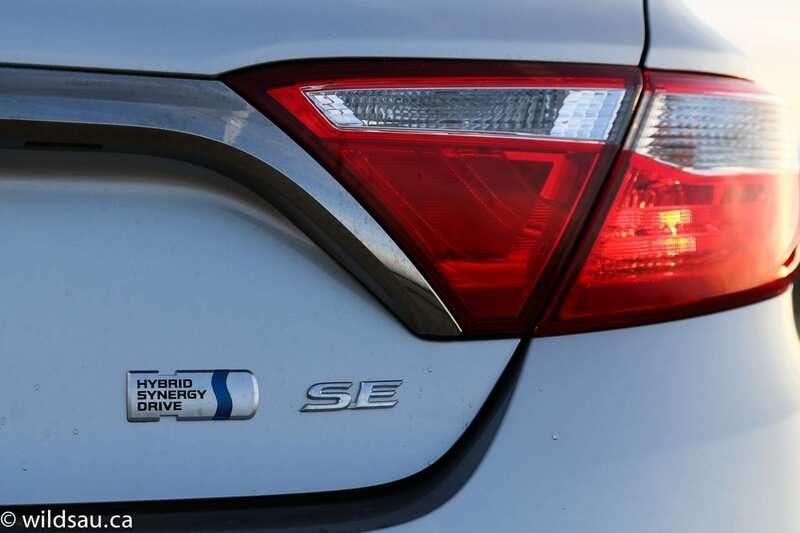 There’s no other way to say it – the Camry hybrid is surprisingly powerful and hits the sweet spot between the 4-cylinder and the 6-cylinder Camry. Something I noticed about the Camry hybrid was that it started the engine much sooner than the Prius I was in the previous week did. 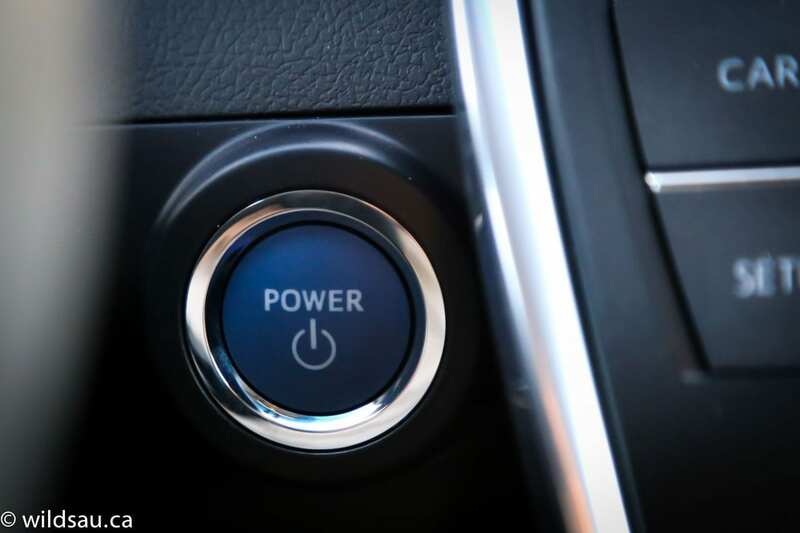 The Prius seemed to try to eke every last possibility of electric driving before firing up the engine whereas the Camry hybrid almost invariably fired up after a second or two of a standing start. Uh oh, I thought. This is going to make a huge difference in the fuel economy between these two. Not the case. I ended up averaging an astounding 5.8 L/100 km (41 US mpg) during my week with the Camry, making no effort whatsoever to drive efficiently. Another difference between the Camry and the Prius is how hard they seem to work. 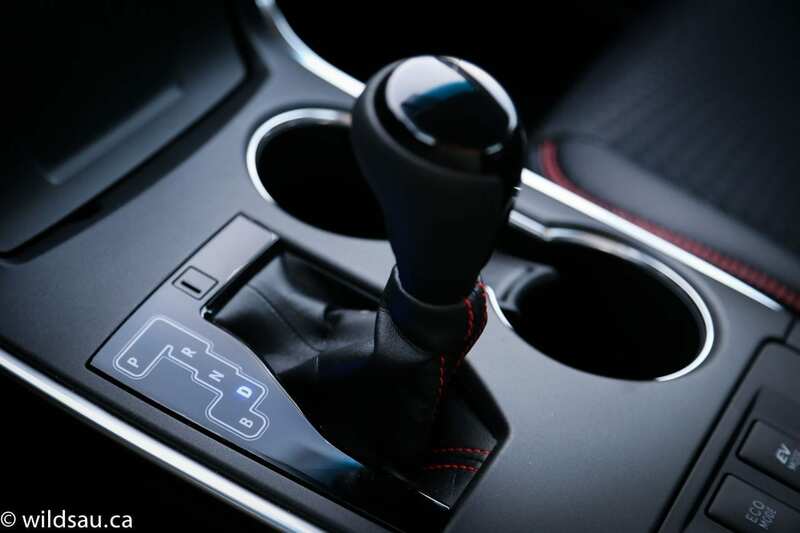 The Prius almost always sends the engine revs to soaring heights and even at basic commuting speeds, it howls and thrashes around, belly-aching at your inability to coast around town. 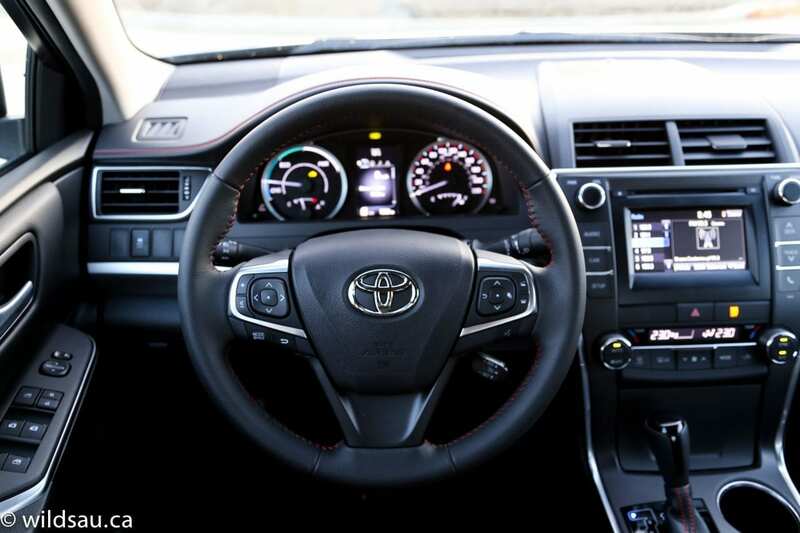 The Camry on the other hand never felt like it was working any harder than an equivalent gas-powered vehicle and that made for a much more relaxing driving experience. I noticed that my review car rode a bit firmer than I expected from a Camry. I looked at the spec sheet and noticed that the SE has a sport-tuned suspension. 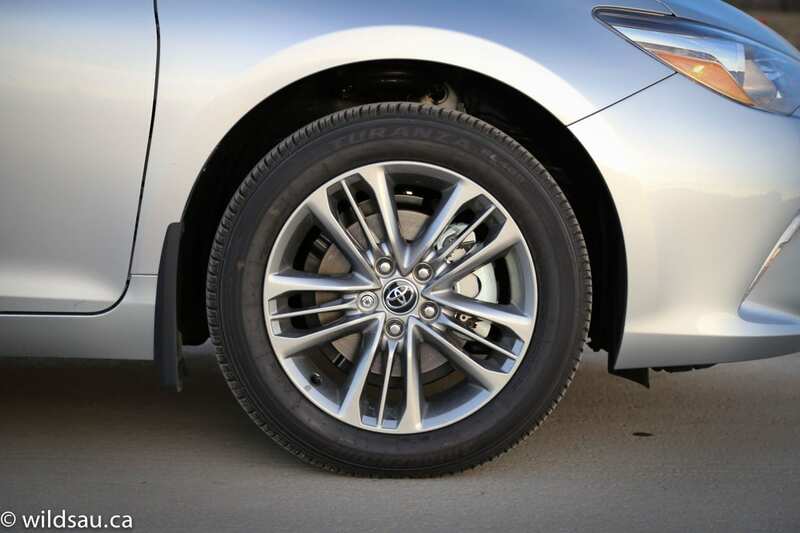 Which doesn’t make much sense at all because there’s no need for a hybrid Camry to have a sport suspension set-up – there’s nothing sporty about it. Why can’t a Camry just be fine being a Camry? 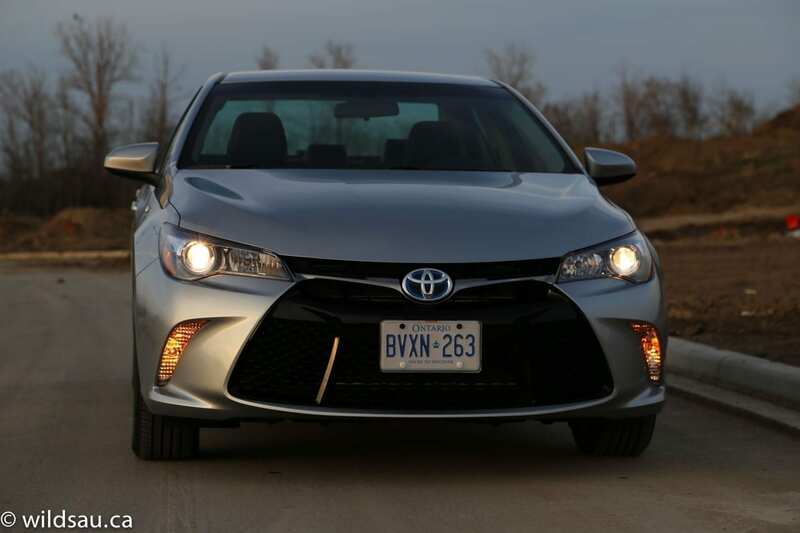 With that said, it’s still not a very sporty ride and the handling, while competent and predictable, remains squishy, the steering remains numb and the Camry’s body still leans around corners as you’d expect any Camry worth its salt to do. 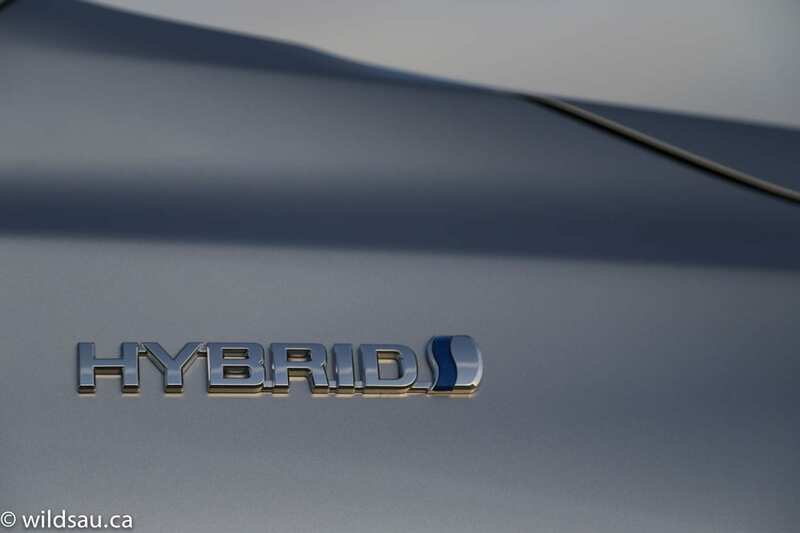 The hybrid’s regenerative brakes are still mushy, but not nearly as grabby as yesteryear’s hybrids, and you get used to them very quickly. 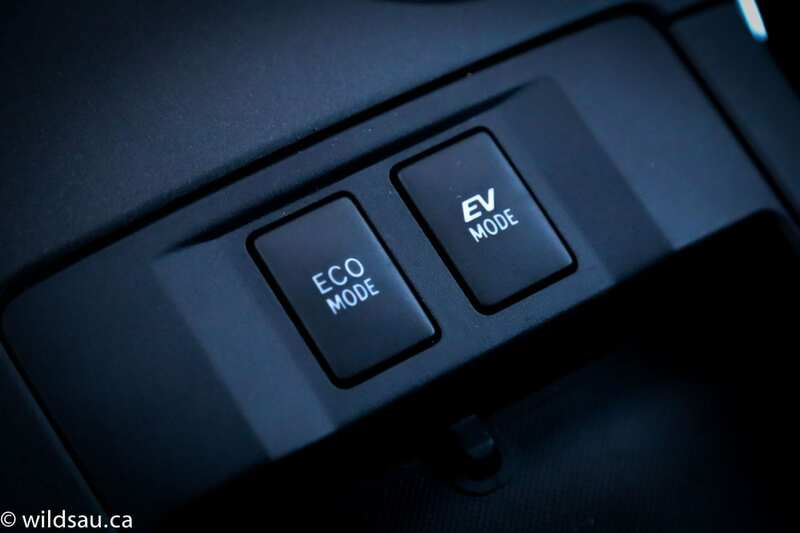 If you’re really after maximizing your efficiency, you can choose between Eco and EV (electric vehicle) driving modes as well. 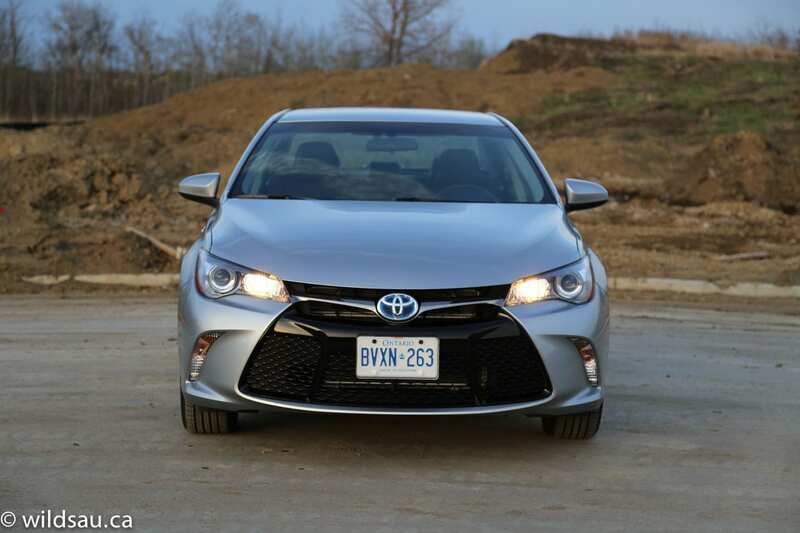 Eco mode knocks the Camry’s responsiveness down several notches and dampens an otherwise decent driving experience – in my opinion, it’s a poor trade-off for very little measurable gain at the pump. EV is only for trundling along at very low speeds, such as bumper-to-bumper commuting or being a pace car for a three-legged race. In the end, I found the hybrid Camry to be an excellent car. You don’t have to justify buying one solely for stellar economy, or its resale value (which will remain higher than its competitors) or expected reliability. Not only did I achieve stunning fuel economy numbers, but I didn’t have to give up anything in the driveability department. And if I was shopping for a hybrid, that alone would have me looking at the Camry hybrid over a Prius. I wouldn’t choose the reviewed SE trim myself – it doesn’t really do anything to make the car sportier other than a bit of exterior trim and the sport-tuned suspension is more of a negative in my opinion. 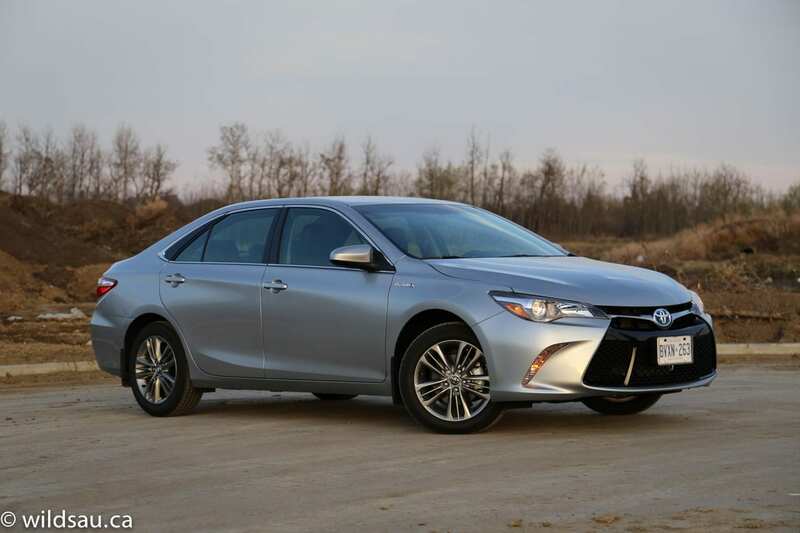 I would expect excellent ride quality in a Camry which is why I’d settle for the LE hybrid on the lower end of the price range, or pony up a few more grand and get the totally tricked-out XLE hybrid. Personally, I think it would be an interesting experiment to put this drivetrain in the Venza – it would add hatchback practicality and take a round out of that model’s horrifying fuel economy. WAF (Wife Acceptance Factor) was quite high. She said it felt more expensive than it is and was very easy to drive. As a pure financial argument, you’d have to do the math on how long this vehicle would take to pay for itself versus a gas-only Camry, but if you’re after exceptional day-to-day fuel economy, an excellent compromise between power and fuel efficiency and a well-equipped sedan, this smooth operator could be just the ticket.